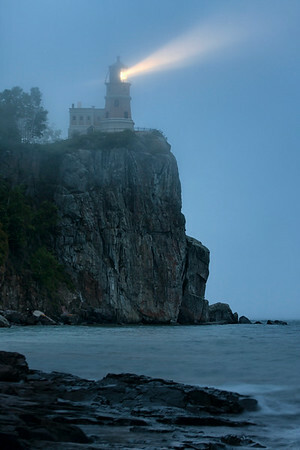 I was able to capture the beam from Split Rock Lighthouse early in June during its anniversary celebration. The night was foggy and the fog seemed to diffuse the light making it capturable. I was relatively close to the lighthouse when I made this photograph.